What benefits does the 211 texas infoline cover? 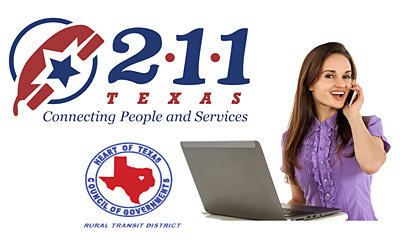 211 Texas – The emergency help phone number for essential human services. Everyone knows that in an emergency, you can dial 911 for police, fire and EMS services. There is another number you can call if you have a different type of emergency. 211 helps link people to public assistance. Dialing 211 can connect you to assistance for food, housing, medical care and more. 211 is a nationally established number for assistance, but each call goes to a local center. In Texas, 211 is managed by the department of Health and Human Services. 211 Texas helps link people to public assistance. Each call goes to a local center and it can connect you to assistance for food, housing, medical care and more. 211 is available throughout Texas and, because the system is largely automated, information is available at any time- 24 hours a day, 7 days a week, holidays included. Unfortunately, the automated system cannot handle every query. If you need information regarding state benefits, it is best to call between 8am and 6pm, Monday through Friday in order to reach a representative. Dialing 211 will connect you to a local resource specialist. 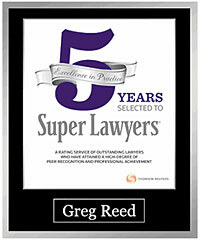 Specialists are required to either have obtained certification or be working towards it. Resource specialists are certified through the Alliance of Information and Referral Systems. Specialists are trained to know about all the government assistance programs available and help direct people to apply for those which will best fulfill their needs. This system has many benefits. It is much more efficient for an individual in need to call one central number than to call multiple agencies to seek aid. Also, specialists are experts in which programs are available. Often, if someone is in financial need they do not need only food stamps or only housing assistance, but could benefit from several different programs. The specialist may even be able to inform people about programs they didn’t previously know about. 211 will connect you to a variety of services. 211 is available throughout Texas and, because the system is largely automated, information is available at any time- 24 hours a day, 7 days a week, holidays included. However if you need information regarding state benefits, it is best to call 8-5 Monday through Friday. It is important to note that 211 is a program designed to help you find assistance it does not actually provide any of these services. If you need to contact a specific agency, it is best to call their number directly. Many of the services that 211 will direct you to are run by the department of Health and Human Services. However, any charity organization can ask to be listed in their directory. For example, if you ask for food assistance in Austin, you will find church food pantries alongside county food banks and state aid programs. This allows those in need to select from a variety of options and lessens the burden on any one service provider. Texas 211 is an excellent resource for Texans in need. It is especially important for those with disabilities. 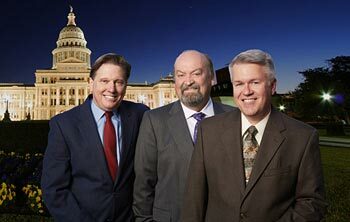 The Texas 211 website has a page devoted to services for the disabled. One of the most important programs for disabled people is Social Security Disability Insurance. If you have become injured or ill and are unable to work, you may be eligible for benefits. If need assistance applying for benefits, or if you have applied for benefits and been denied, contact the attorneys at Bemis, Roach and Reed at 512-454-4000 for a free consultation.